Plant House plants or other non-submersible species into the planter and release it in the pond. Improve your water quality with this attractive floating planter. 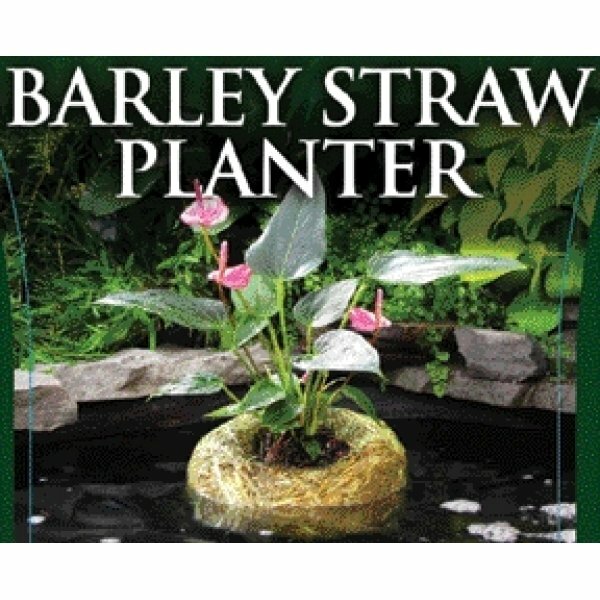 Barley straw planters act as a natural filter keeping the water in your pond clean. Barley Straw Planter has different options and/or variations, please choose below. Plant House plants or other non-submersible species into the planter and release it in the pond. 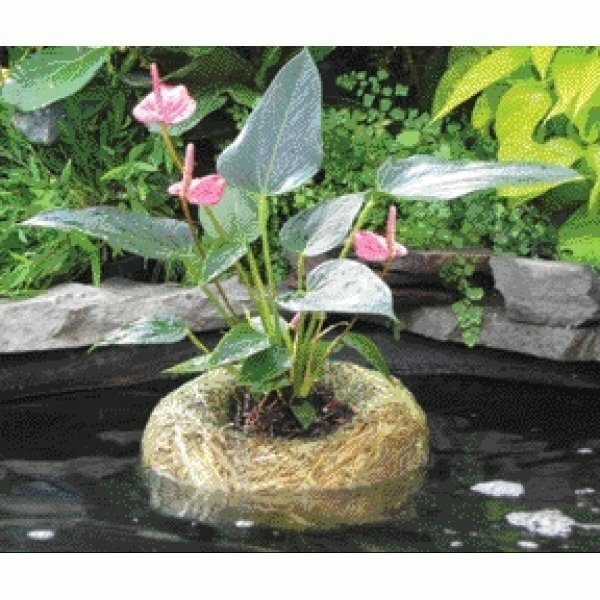 Improve your water quality with this attractive floating planter. 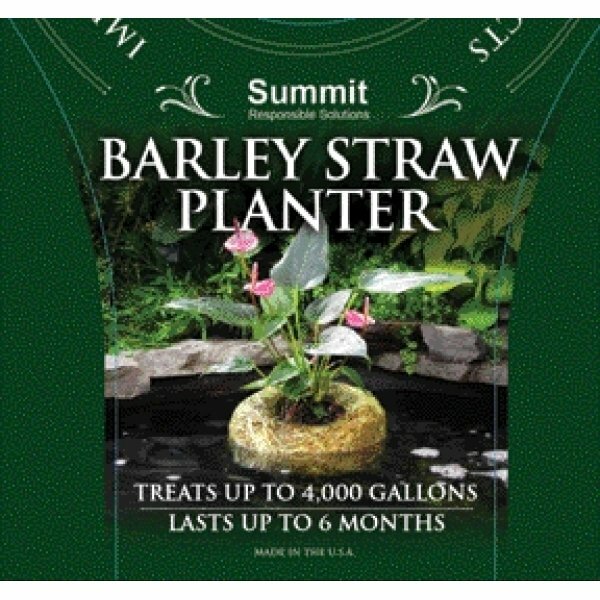 Barley straw planters act as a natural filter keeping the water in your pond clean and clear. Won't harm fish or plants and treats pond for 6 months. The medium is 8 - 9" wide X 7" high and the large is 11 - 12" wide X 7 - 8" high. These also promote healthy populations of invertebrate life in the pond, these tiny creatures consume organic contaminates, unicellular algae and fillamentous algae. Invertebrates also are important for the food chain in your pond, feeding aquatic insects and your fish. Will not harm fish or plants, treats pond for 6 months.